Typically, my days in the office consisted of assisting my boss Leilani with any work that needed to be done. Whether that be helping schedule events, pass out flyers, writing scripts, etc. However, this day Leilani told me that I would have to create an entire event! It was very exciting yet at the same time nerve wrecking to make sure that everything went right. This particular day was for the women’s softball’s team and their senior day. The event would be focused on young girls who play softball that may want to come out and attend. It was called youth day. I was supposed to organize youth teams to come out and watch our SMC Softball team take on Santa Clara. This day I looked up and emailed several youth teams in the bay area and tried to get them to join in on the fun of youth day. When signing my name at the end of the emails, I had to make sure that I did not simply sign with my name, but also my position as a Sales & Marketing Intern at St. Mary’s College. It was a pretty cool experience. Little did I know, this was only the beginning of all of the work I would be needed to do! I had two weeks until the big day and had to anxiously wait for the youth coaches to respond to my request. This entry was posted in Uncategorized on April 17, 2013 by jnared. This entry was posted in Uncategorized on December 11, 2012 by jnared. The soft spoken, yet fierce Wendy Tokuda was born in Seattle in 1950, the fourth of five children. Her father George and her mother Tama met in Minedoka, one of the internment camps to which West Coast Japanese Americans were forcibly relocated after the start of World War II. After graduating college in 1968, Tokuda spent a year at Whitman College in Walla Walla, Washington before majoring in political science at the University of Washington. Tokuda’s overall goal was to become a lawyer, and she spent a year working at a legal services clinic. At the age of 24, she started as a secretary in the public affairs department for Seattle’s King TV. Within 19 months, Tokuda was promoted to on-air reporter. At the age of 27 she left her family to work for KPIX, San Francisco’s CBS affiliate. In1991 Tokuda was ready to move to KNBC in Los Angeles to work in the nation’s number 2 TV market. 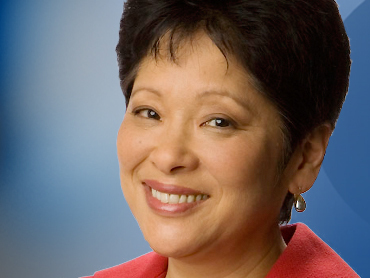 By 1997 Tokuda returned to the Bay Area as an anchor at San Francisco’s KRON. She began her series Students Rising Above to spotlight hard-luck teens struggling to get an education. She has spent the past 13 years improving and working for this program. She took the series to KPIX when she returned there in April of 2007 and continues it to this day. Tokuda also raised over $3.8 million to help send the subjects to college. Tokuda has reported on news in the Bay Area for almost 30 years. Although she is currently retired, she continues to do work with the “Students Rising Above” program that helps low-income, at-risk Bay Area teenagers. Tokuda takes great pride in this program and created the spotlight series that highlighted the students in a segment she called “Students Rising Above”. This nationally recognized series won a Peabody Award, a National Emmy for Public Service, the national Sigma Delta Chi Public Service Award, the NAB Education Foundation’s “Service to America” Award and the Temple Award for Creative Altruism. The series led to the creation of the non-profit Students Rising Above, which has raised millions of dollars to help send these students to college. Founded in 1998 by Tokuda, and Community Relations Manager, Javier Valencia Students Rising Above has become a very successful organization that invests in low-income students who are the first of their families to go to college. This organization is committed to helping students to reach their potential and breaking the cycle of poverty within their own families. She is also on the Leadership Council for the organization. Students Rising Above commitment is to guide students through the college application process all the way to college graduation. They then help students transition into the workforce with career guidance and networking opportunities. The students that this organization serves come from extremely low-income families. Ninety-eight percent of the students are the first in their families to attend college, while eighty-one percent of their students live below the federal poverty level, and seventy-three percent come from foster care or do not live at home. Today, this program has grown into an independent 501(c)3 non-profit organization with broad community support. The diverse student body of Students Rising Above includes some of the best and brightest. Members of this program attend many of the finest universities across the United States including UC Berkeley, Stanford, Princeton, Yale, and Harvard. Tokuda is an extraordinary individual who loves giving back to her community and does her best to give to those who need it. Even after being retired she still is very involved in her organization that directly helps children and families with getting through college. Such an amazing individual deserves great praise for what they do and Wendy Tokuda deserves every bit of applause! This entry was posted in Uncategorized on November 20, 2012 by jnared. The panel discussion that was held at St. Mary’s College on November 13, 2012 was a very enticing discussion that brought big names that include, Steve Walpurt, Steve Sloan, Monica Fitzgerald, and Tim Farley. The main topic that was discussed was the election that just recently passed with President Obama and Mitt Romney. They discussed the controversy around this election and how so many television networks such as Fox and MSNBC were portraying it to be a close race between the two candidates, when the reality was that Obama always had a pretty big lead. When asked what went wrong with Romney, all of the people of the panel seemed to agree that the issue relied with Romney supporters. 88% of Romney supporters were White. With the demographics being what they are today and with their being so many different races and people of color in the world, you can no longer rely only on White Americans to carry you to winning a presidential election. Of course there were other factors, but for the most part Romney lost with the loss of people of color. To go along with this, another topic that was talked about was the Republican Party in general. With so many people in the world trying to take a new route and going away from the conservative ideas, Republicans are going to have to start making changes with some of the ideas and systems that they have in place to help adjust to what people may better relate to. People are slowing starting to fall away from these conservative views, so Republicans need to find a way to meet the needs of citizens with also not falling too far away from what they really believe in. “Sooner or later there will be a democratic candidate that messes up,” said Sloan. With that said, Republicans need to realize that they must compromise some of their ideas and values if they want to be chosen by the people. Another steamy question was, whether or not President Obama will be better this time around. Steve Sloan spoke out saying that Obama may be more likely to take risks this time around because he does have the chance of being reelected. If that is the case it could either help or hinder our country and the path that is may take. Overall it was a very great discussion and the panel gave insight on several of areas of the political campaign and presidential election. With these bright minds sharing what they know wit us, it helps the younger generation to learn more deeply what is going on and what they can do to help. Fans all over the world have been waiting anxiously for the premiere of the movie that took the hearts of thousands of young teens and adults everywhere. Twilight Breaking Dawn Part 2 came out this past week with a worldwide debut of 340.9 million dollars just since it came out this past Thursday November 15. Such an uproar for this movie and so much at store for the Twilight cast to make sure that this movie was nothing short of perfection. After seeing the movie myself, as well as hearing the opinions of several others, I would say that they delivered. With this finale being ranked the eighth of all time domestic debuts, they absolutely gave the franchise of Twilight the ability to end with a bang! The movie consisted of the same characters from the past few Twilights, however Bella’s character was amplified with her new life as a Vampire. Her character that started once in the first Twilight as a young girl that was very timid and quiet, takes its ultimate high with more confidence, grace and strength than viewers have ever seen before. Bella was profound as a vampire. Her relationship with Edward seemed to take off and their bond appeared deeper than ever. The newest character in the movie, Renesmee who was the daughter of Edward and Bella, brought a new softness to the movie and easily allowed viewers to connect with her. This half vampire, and half human was like nothing they had seen before, but they were willing to fight for her life. The story begins to be more intense with the anticipation of the Voltaire coming for Renesmee. You will see the cast in rare form, as the movie shows us more action than the other three combined. We also see several new vampires that come from all around the world to help out the Collins and Bella. All that have powers different from one another and gifts different than any of the Collins. Bella in particular has gifts that are fascinating to the Collins, and even to the Voltaire. Her power of defense allows her to protect her family in quite a strong way. One negative however about the movie if there be any, would be the depiction of Renesmee. With the movie once having such great graphics, Renesmee was done horribly! Especially when she was a baby. She looked very fake and not realistic at all. I am sure the people in graphics could have taken a little more time on baby Renesmee so it was not so cartoon-like. Besides this, the movie was nearly flawless. Those who have already read the books, beware! Do not assume that you know what is coming up because the movie throws a bit of a twist to the book readers that caught many off guard. Not in a bad way either, the twist gave the readers a bit more kick and edge than the book and made for a more enjoyable ending. This was by far the best of all of the Twilight’s and really gave viewers a great note to close on. With such a great sequence of books and movies and with having something to always look forward too, it is sad that this completes the Twilight series. Although the series is at its end, it will forever be in the hearts of all of the fans. Try finding practice gear in this! Ashlee Smith lacing up her shoes! A few of the upper class-man on the court! This entry was posted in Uncategorized on November 18, 2012 by jnared. With the building of the new 30 million dollar recreation center, St Mary’s College hopes to not only improve the legacy of baseball, but to also enhance the experience of students, giving them something that the school has never seen before. Even during a time where the economy is not exactly where it needs to be, the school managed to have raised, and had donated over 20 million dollars to go towards the new athletic center. With the school currently not having a true recreation center besides the rather ancient Madigan gym that only has treadmills and a wore down gymnasium accessible for students. What the new recreation center has to offer is so much more than what the school has ever had. Including three indoor courts, two multipurpose rooms, a climbing wall, an aquatic center, and much more. In addition to having a nice facility for current students, they also hope to draw in more students with the new recreation center. “Saint Mary’s College is one of the few campuses that does not have a recreation center when compared to our peer institutions – this facility will become one of the signature facilities on campus. Of the top 5 things a prospective student looks at when deciding on a College: academics, job placement, financial aid and social life are among them – this center is an essential part of that social life,” says Orr. Though most people would say that academics is the most important when it comes to choosing a school, it is very obvious that something like a nice recreation center would be a hug bonus people. Not only is it social life atmosphere that Orr talked about, but also is a great way for students to stay fit. St. Mary’s has the well-known Oliver Hall that includes great meals, what would be better than a recreation center to help students occasionally work those meals off! Orr also talks about the atmosphere of the recreation center, which hopes to build new relationships amongst the people of St. Mary’s College. “The College does not currently offer many communal gathering places on campus where students, faculty and staff alike are in a more social setting. This facility will enhance that already outstanding relationships that our faculty and students have with each other,” says Orr. With this new facility it will help bring together the students and staff of St. Mary’s like it never has before. With approximately half of the current student body participating in recreational sporting activities, it would be great to give them better facilities to practice and compete in. The facility will not be designed for Division One NCAA athletes, but instead for those who simply enjoy recreational athletics. Division One Athletics have plenty of facilities available for practicing as well as games. Now there will be a center available for those who may not be collegiate athletes, but who just enjoy sports, working out, or any other type of fitness. The new recreation center should be completed hopefully by the 2013-2014 academic school year. By then, the school should have all of the funds necessary to complete this building, as well as a community of students and staff ready to take part of this new aura of St. Mary’s College. This entry was posted in Uncategorized on November 6, 2012 by jnared.